The Cuisinart CNTS-288 is a grill-top tapas that are designed for grill to table top serving. The nonstick coating allows for no mess serving and also making cleaning up a breeze, for even for stickiest sauces or caramelized meat. It is important to use oven mitts or gloves when removing tapas bowls from the grill. 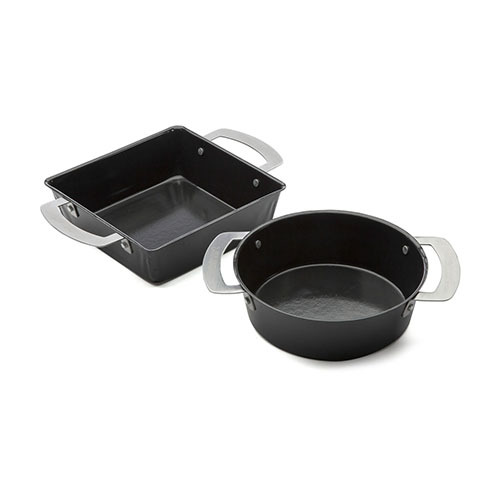 The Cuisinart Tapas Grilling Topper (2 Pack) has many exciting features for users of all types. 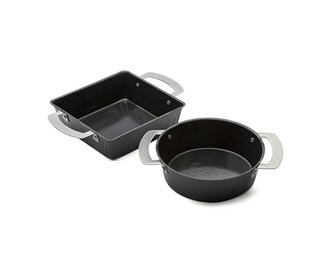 See the Cuisinart Tapas Grilling Topper (2 Pack) gallery images above for more product views. The Cuisinart Tapas Grilling Topper (2 Pack) is sold as a Brand New Unopened Item.